Shrek and Donkey are back! 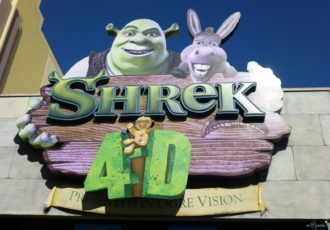 Join our heroes on an all new adventure that puts you in the story between the Oscar-winning film "Shrek" and "Shrek 2". In this chapter of our saga Lord Farquaad has returned (in ghostly form) to kidnap Princess Fiona. Join the world’s favorite big green ogre and his wise-cracking, four-legged sidekick as they take off in hot pursuit. You'll gallop through a haunted forest, ride on the back of a fire-breathing dragon, and plunge over a churning waterfall in order to save the day. 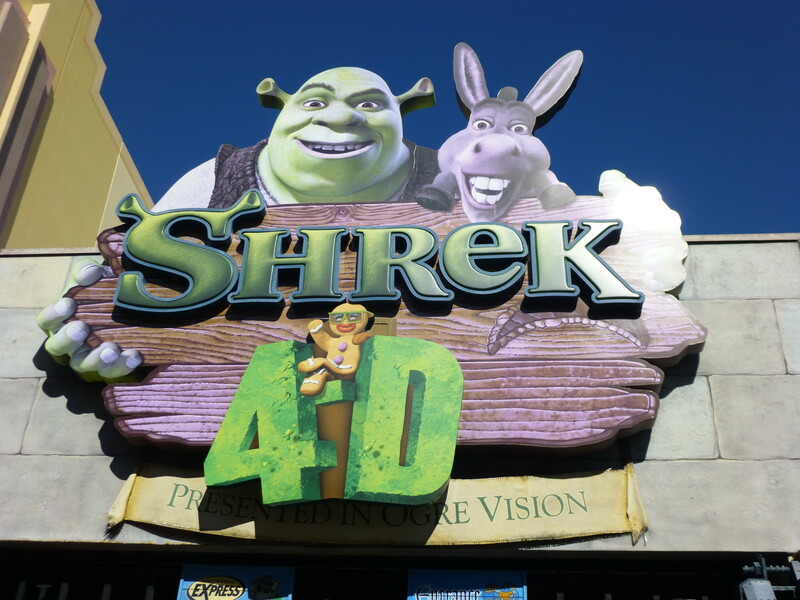 After entering Lord Farquaad's "dungeon" you’ll emerge into a 3-D theater where special effects and the miracle of OgreVision glasses bring the experience to life. You’ll see, hear, and actually FEEL the action as moving seats, water, wind, mist and other special effects put you right in the middle of this fairytale adventure. 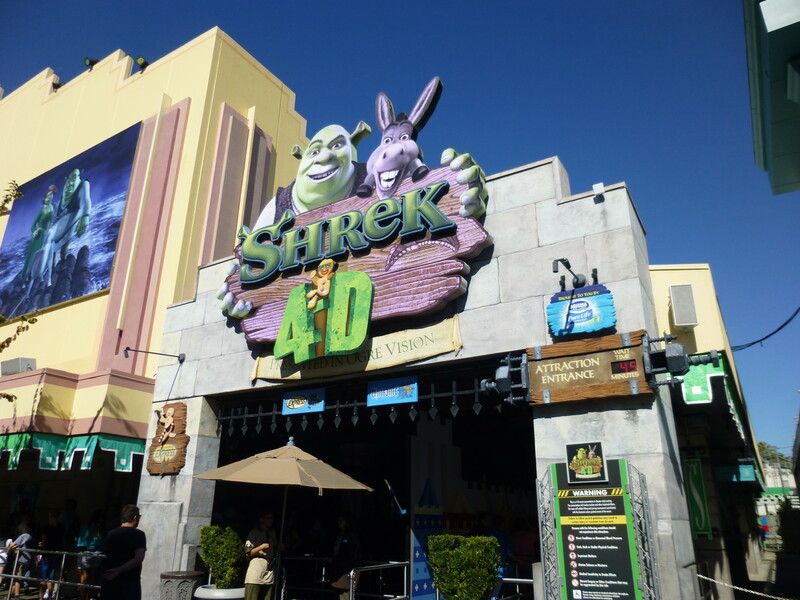 Great attraction to get out of the sun for a little bit, or if it's raining, but if you're not a big Shrek fan it could be low on your priority list for the day. Darkened theater and loud noises may be frightening for very young children. Seats move to match the action on screen (in a 4D sense, not full-on simulator.) Stationary seating is available. The show actually occupies two theaters to help make the line move more quickly. Most of the year one theater is used for the regular line and the other for Express. For a few months out of the year one theater is closed to make room for a Halloween Horror Nights house.